Due to road closures, lack of warning signs, and work vehicles, construction zones alongside the highway can be particularly dangerous for motorists. If you or a loved one was injured in a construction zone, a construction accident lawyer at Foley Law Firm can collect every parcel of evidence and work tirelessly to help ensure you are fully compensated for your injuries. Why should you hire an attorney after a construction zone accident? Construction zones are perilous for the drivers passing through. According to the Pennsylvania Department of Transportation, nearly half of work zone crashes in 2014 resulted in a fatality or injury. There were more than 96,000 work zone accidents in 2015, according to the U.S. Department of Transportation. On average, a work zone crash took place approximately every five and a half minutes. More than a quarter of the time, at least one person got injured, and nearly twice a day a work zone crash caused at least one fatality. What are the causes behind these alarming statistics? The time of the crash, amount of traffic, equipment in the area, barriers, and signs, among other evidence, will often play a key role in the outcome. Driver – Sometimes the driver, due to their negligence, is legally responsible in a construction zone accident. There is an expectation that a driver will reduce their speed and obey signs in a construction zone. If they fail to do so, they are not exercising reasonable care behind the wheel. 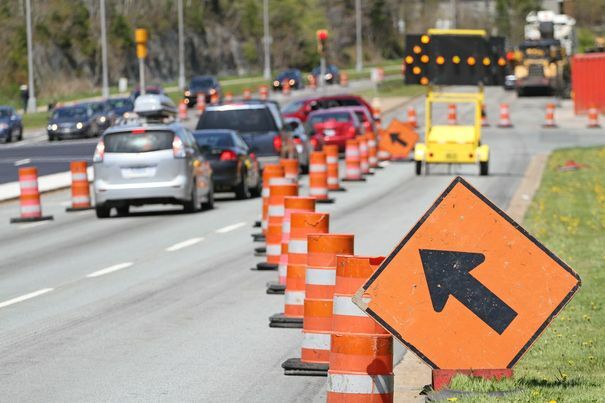 Construction company – If the construction company fails to clearly mark detours and put up barricades, they may be legally responsible for failing to meet work zone safety guidelines. Government entity – Private entities are not the only ones who may face repercussions. If faulty signs direct motorists into a hazardous area, the liability can fall on the local government. While the type and severity of injury varies from one accident to the next, there are numerous injuries regularly seen in construction zone accidents: traumatic brain injury (TBI), spinal cord injury, nerve damage, and amputations, to name a few. At Foley Law Firm, we protect the rights of victims in construction zone accidents. We offer compassionate legal representation and work tirelessly to help you recover damages for your injuries. To learn more, contact our website or call (800) 523-6539 today.